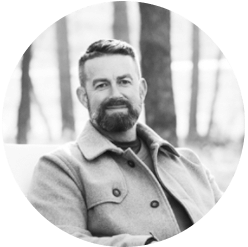 In my last blog, we talked about how, as an advice-based planner and a fiduciary, I feel a responsibility to help my clients view money in a positive and beneficial light by using it to enhance their wellness. In the second part of my series, I want to talk about using your wealth for another incredibly important purpose: to enhance your learning. One of the core beliefs I have developed my business (and life) around is that you should never stop learning. I truly believe that there is something new everyone can learn nearly every day of their lives. This learning can come from others when you’re open to their point of view, from educational television programs or documentaries, from books, or from a hundred other sources. It’s all out there for the taking if you just look hard enough. When you have built up some wealth, you have the opportunity to really take your learning to the next level. In many cases, this extra learning will help you develop even more wealth and, even if it doesn’t, it will certainly enhance your overall happiness and job satisfaction. Here are the top three ways I encourage my clients to use their wealth to enhance learning. My absolute favorite way to learn is by reading books. I read 43 books in 2017 and every single one of them taught me something valuable that I will be able to use in my career in the new year. I enjoy reading physical books and I usually want to read them as soon as they come out (which means I’m paying upwards of $20 or more for the hardback edition). I also like lending my books out when I’m finished with them, so that means I can’t get them from the library. Though $20 may not seem like a lot, it sure adds up. I spent nearly $1000 on books last year, and this can be tough for those who don’t have a lot of disposable income. When you’ve built up some wealth, you have the luxury of walking into a bookstore (or going on Amazon) and buying books that speak to you and that you will then be able to share with those you think would learn from them as well. I know this has greatly enhanced my own happiness, and I think it can do the same for you. If you’d like to see my favorite reads from the past year, keep checking the blog as I’ll be doing a few posts on that subject! We all want to be better at something, and if you’re like most people, you want to be better at a lot of things! If you truly know yourself, you’ll know which activities, skills, or hobbies you could improve to make your life more enjoyable. One of the great things about wealth is that you now have the freedom to pursue some of those areas. Consider taking a cooking class if you’ve always wanted to learn how to master French cuisine, or take a woodworking course if building things have always been on your list of goals. There are thousands of classes you can take online, at your local community college, or at local businesses that can help you improve at everything from jewelry making to computer programming. Find out which ones speak to you, and make a point to take at least a few classes in the new year. More and more older Americans are heading back to school to get mid-life degrees. Some do it because they’re unhappy with their current careers while others simply want to take their jobs to the next level. With the availability of taking classes online, almost anyone can go back to school while still working full time. Those who have plenty of disposable income also have the added benefit of not having to worry about cost. You can choose a program that will fulfill all your needs and enter your 50s (or even 60s) with that bachelors or MBA you’ve always wanted. The older you get, the more important it is that you continue to learn. 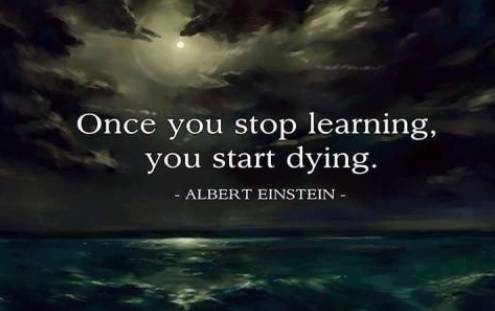 As Einstein famously said, ‘Once you stop learning, you start dying.’ If you’d like more information on using your wealth to enhance your wellness or knowledge, please get in touch. It’s one of my absolute favorite subjects!